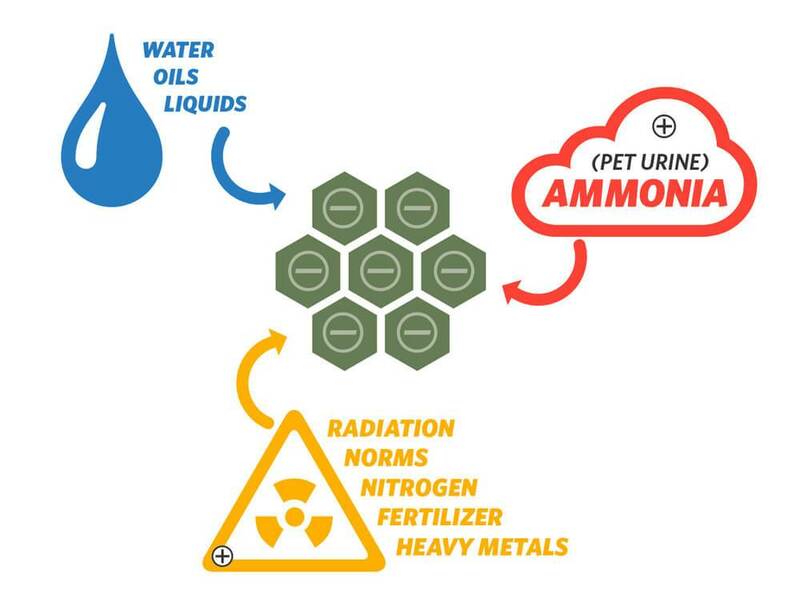 Zeolite can play an important role in meeting the pollutant reduction goals for the filtering of storm water and storm water runoff that contains soluble heavy metals, nutrients, ammonium, hydrocarbons, and even some organics. Zeolite is a natural granular product that is screened to various sizes depending on the application or required water flow for each project. The open inner honeycomb structure allows water to flow through granules and the ion-exchange abilities allow it pull out and bind with pollutants as they flow through the zeolite, separating them from the storm water. Ida-Ore’s Clinoptilolite Zeolite is available in numerous mesh sizes for your filtration needs. Generally the smaller the granules, the slower the flow rate through the system with a longer contact time but higher the backpressure on the system. Past projects typically have utilized the Zeolite Sand, Zeolite Medium, or Zeolite Kitty Litter. BioFiltration is a pollution control process that uses a series of live plants, trees, and shrubs to naturally filter water runoff and soak in water to reduce the quantities of water that will need treatment. Bio-filtration is an effective method to both reduce the volume of surface runoff and provide treatment to the runoff that does make its way to drains or bodies of water. Many strains of Zeolite use mostly sodium oxide to reach their specified level of Cation Exchange Capacity. Ida-Ore Zeolite is a little different, the Zeolite from the Sheaville deposit that Ida-ore mines from uses 5% Potassium Oxide, 1.5% Calcium Oxide, 1.3% Sodium Oxide, and .3% Magnesium Oxide to reach the specified level of around 200 meq/kg CEC level. Please see our spec sheet for more detailed information including a full chemical makeup and priority ion-exchange of compounds. Several issues exist with bringing extra nutrient sources such as compost to these sites in fear that runoff from water soluble nitrogen and existing heavy metals in composts will only exasperate the problems with excess nutrients and heavy metals flowing into water systems. This is where Zeolite can play a key role, through the binding and slow release of nutrients along with the binding of heavy metals, Zeolite will greatly reduce this issue. Zeolite is for sale in various sizes of packaging, including 50 lb bags, one ton totes, and bulk shipments. Our Zeolite is also available pre-mixed into various composts through Magic Valley Compost in Twin Falls, Idaho.